Professor Scott Tremaine received his undergraduate degree from McMaster University in Canada and his PhD in Physics from Princeton. 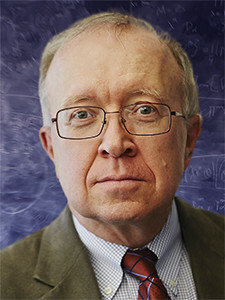 He has held faculty positions at MIT, the University of Toronto, and Princeton. At the University of Toronto he was the first Director of the Canadian Institute for Theoretical Astrophysics, from 1985 to 1996, and at the Princeton University he chaired the Department of Astrophysical Sciences from 1998 to 2006. He is currently the Richard Black Professor of Astrophysics at the Institute for Advanced Study in Princeton. He is a Fellow of the Royal Societies of London and of Canada and a member of the US National Academy of Sciences. His awards include the Dannie Heinemann Prize for Astrophysics, the Tomalla Foundation Prize for Gravity Research, the Dirk Brouwer Award, and honorary doctorates from McMaster, Toronto, and St. Mary’s University. His research has been focused on the dynamics of astrophysical systems, including planet formation and evolution, planetary rings, comets, supermassive black holes, star clusters, galaxies, and galaxy systems.